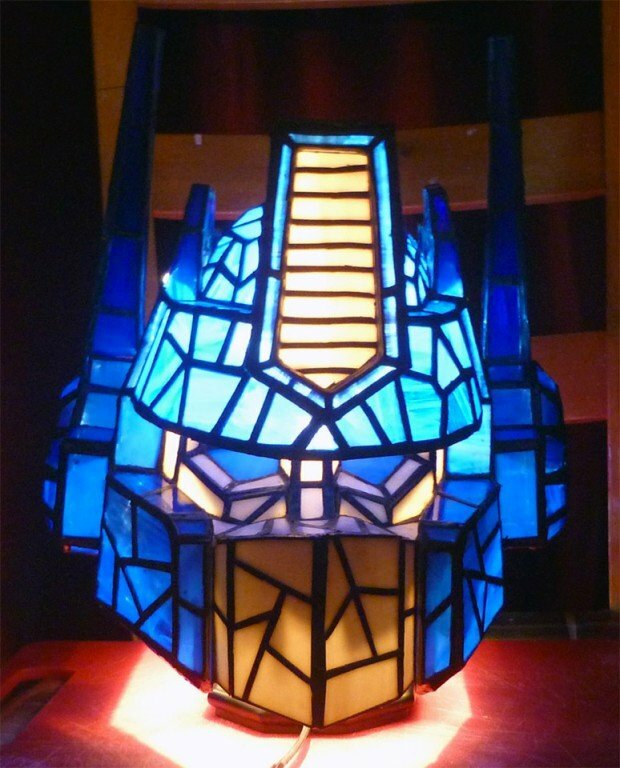 I’ve seen stained glass Transformers and lamps done up to look like helmets, but this is the first time I’ve seen the two combined. 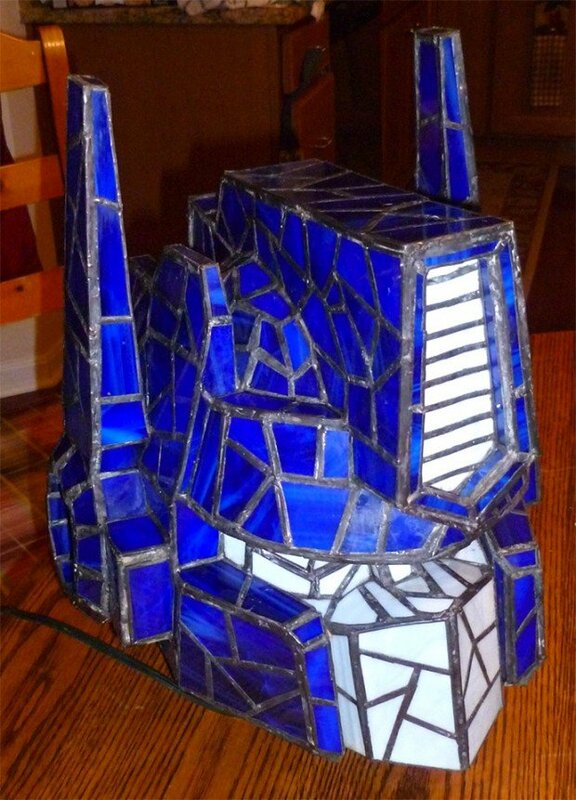 This awesome handmade Tiffany stained glass lamp is sure to make any fan of Optimus Prime very happy. It was made by 3rdEdgeStainedGlass, who spent over 80 hours making it using stained glass, copper foil and solder. The lamp measures in at about 14″ (h) x 12″(w) x 12″(d). It’s available over on Etsy for a whopping $1150(USD). For that kind of money you’d better hope that there aren’t any Decepticons lurking around your house ready to smash it.